COMMunity Beat | Good luck to the Seahawks! Good luck to the Seahawks! Staff, students, and faculty (and kids!) of UW Comm wish the Seahawks good luck this Sunday in the Super Bowl! 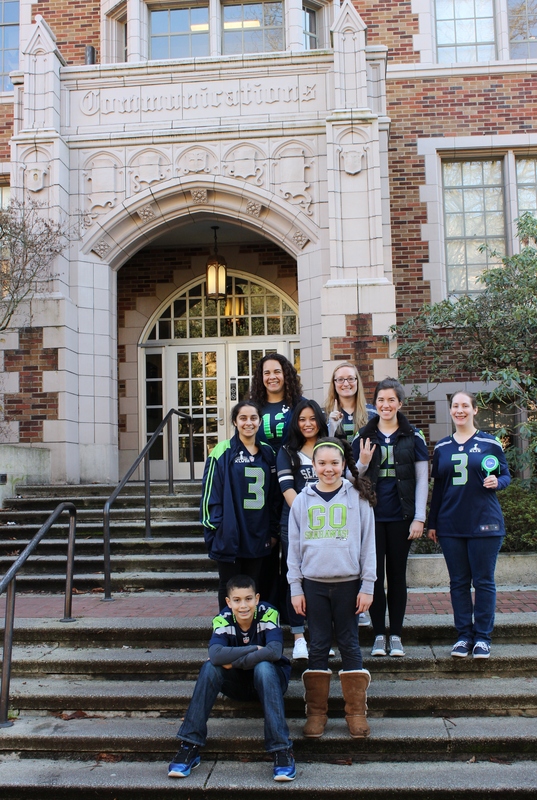 We are sporting our Seahawk pride on Blue Friday and sending good vibes to Arizona!